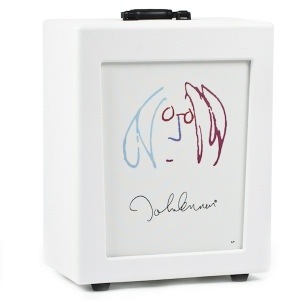 For the first time ever, John Lennon’s vintage tone and iconic artwork come together in a masterpiece boutigue amplifier by Fargen. All white throughout and built with the finest components, the Artist Series features a two-way Decade Switch for ’60s Liverpool and ’70s Plastic Ono tones. The stunning grillcloth doubles as a canvas to display Lennon’s vibrant works of art. Select John Lennon designs are now available, in limited, numbered editions of eleven. Now that I have posted their “press release”, I must add that there’s something about this amp I’m not too sure about. Maybe it’s the limited number of 11… which means the price will have one or two extra zeros on it. And if that’s the case, what’s the point? Fargen will be announcing the new John Lennon amps and pedals at WInter NAMM in January – and GuitarDaddy will be there. This is an update to my original post from early January. 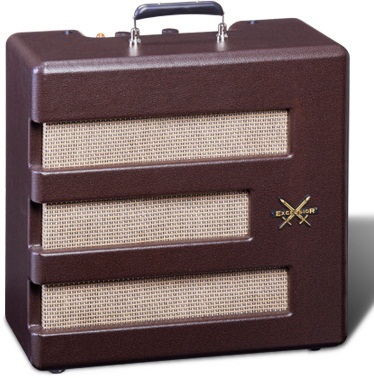 The newest addition to the Fender Pawnshop range is the Fender Excelsior Amplifier. The concept behind this strangely named range began in 2011 by recreating premature unique designs from the ’60s and ’70s. Perhaps a bit ahead of their time the prototypes failed to make it into production and left the factory and entered pawnshops, which is where the name comes from. One of the results is the Excelsior, a vintage looking amp with retro Fender genes. It’s clear to see why the Fender Excelsior was deemed ‘too out there’, visually at least. It takes the word vintage to a new level with a vinyl cover and ‘E’ shaped grille finished with a golden logo. You can almost picture it surrounded by miscellaneous junk in an antique or indeed a pawnshop. ‘Underneath the hood’, or so to speak, we clearly see that Fender have based this on a vintage amp. A practice amp 13-watt design around a 15” custom designed driver. Fender have described the amp as being capable to provide tones from ‘refined’ to ‘raucous’ thanks to the amp being an all-tube design, two 6V6 tubes and two 12AX7 tubes, the more tubes the better (apparently). The Excelsior has a pretty unique feature unusual to amps; it has a separate microphone, instrument and accordion input. This may not be to everyone’s benefit but could be very useful to blues harmonica players. It also features a tremolo with speed control, treble/bass switch and an external cable output. In my opinion this is a love it or hate it amplifier. It wasn’t designed to everyone’s taste and I think Fender are targeting, how shall I say this, the experienced guitar player. It really does have an authentic vintage feel to it and just seems to have character, something I’ve rarely found in an amp. 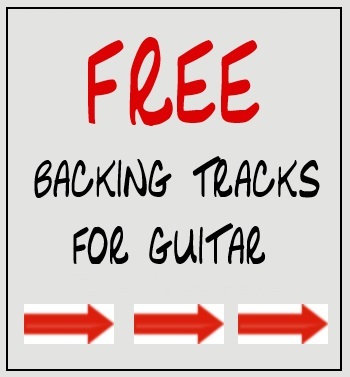 GuitarDaddy Note: This is a Guest Post from Steve Williams, a friend of mine who works for a music shop in the UK. He loves playing and writing about guitars and amplifiers. Thanks Steve! 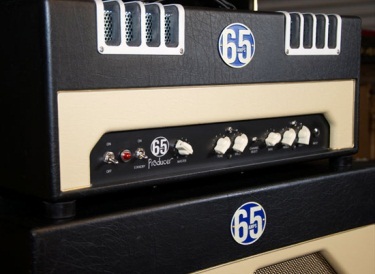 The Producer from 65amps delivers reliable, classic tone with modern tubes. 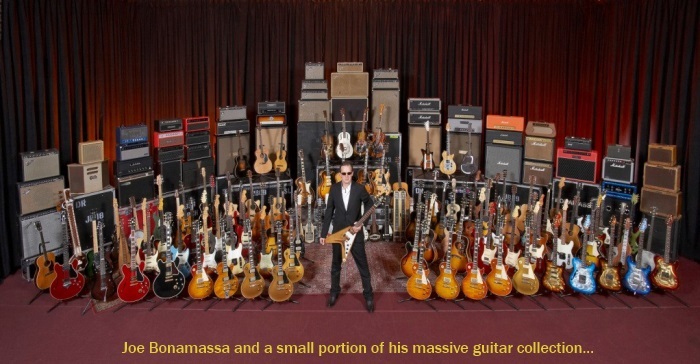 January 6, 2012, North Hollywood, CA (Press Release) – 65amps introduces their newest guitar amplifier, The Producer. This innovative 28-Watt amplifier utilizes a unique tube circuit that addresses the characteristics of modern tubes in a new way. 65amps’ Dan Boul says, “Copying old circuits is becoming more and more dangerous due to the fact that old circuits were designed around tubes that could take high voltage, and modern tubes just can’t.” 65amps has created The Producer as their own, unique solution to coaxing consistent and reliable classic tube warmth from modern tubes. 65amps was conceived in 2004 when partners Dan Boul and guitarist Peter Stroud created a custom amp for Peter to use on stage with Sheryl Crow. Today 65amps’ range of guitar and bass amplifiers delivers surprising power at low volume, amazingly versatile tone and meticulous, road-worthy craftsmanship. You’ll find 65amps on stage and in the studio with a wide variety of players including Richie Sambora, Bruce Springsteen, Keith Urban, Sheryl Crow, Peter Frampton, Bob Dylan, and many more. 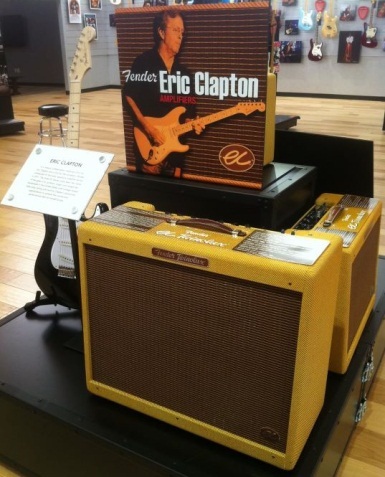 Last week I posted some breaking news about Eric Clapton’s upcoming Fender Signature Amps. This week, more (official) information is available! CLICK HERE to visit the official Fender site to read more about these amps!! In this video we get to see Warren’s amps: Diaz, Soldano and PRS, which all run through Marshall 4×12’s and his guitars that include some Gibson Les Pauls, ES-335s, Firebirds and a very rare 12-string Les Paul — one of only two in the world! What I enjoyed most about this video was listening to Brian Farmer’s encyclopedic rambling as he went from one piece of gear to the next. After watching this video I have to believe he is one of the top guitar techs on the road. This guy knows his stuff! Last week I sold my beef’d up, mod’d, customized Blues Jr to a guitar buddy of mine who made me an offer I couldn’t refuse. I had the amp for about 2 years and was itching for something with a little more punch. I guess I have G.A.S. (Guitar Acquisition Syndrome) for Amps. The Fender Blues Jr Limited Edition is a Pro Guitar Shop exclusive, with only 150 amps made in this fetching red tolex. This new Blues Jr LE also sports a Wheat grillcloth and cream chicken head knobs atop it’s non-reflective black control plate, lending it a refined appearance you won’t see anywhere else. But fear not, the upgrades are not all cosmetic. This Fender Blues Jr. Limited Edition also features a 12″ Celestion Vintage 30 speaker under the hood, giving it a warmth, clarity and harmonic richness that might surprise you, especially when paired with Fender’s superb new “sparkle circuit”. A pair of El84’s pump out 15 watts of tube goodness, and new rattle-reducing shock absorbers keep this combo quiet and buzz-free for optimal studio recording. The Fender Blues Jr Limted Edition has a full complement of tone controls, including treble, middle, bass, and a foot-switchable “fat switch” for beefing up single coils, and a Spring Reverb circuit completes that unmistakable Fender sound. Check this video out…Rock on Joe! No further description needed.